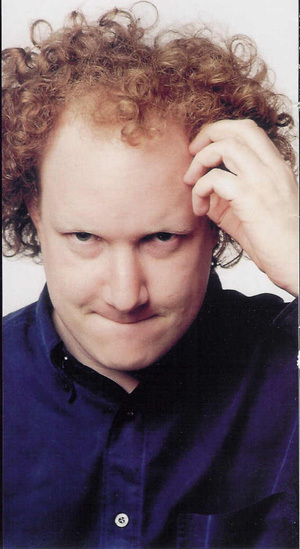 · Andy is currently working on his Edinburgh Festival Show, Andy Zaltzman Unravels The Great Conspiracy. · Andy is co-running a new monthly political satire evening on the London circuit, the first of which was headlined by Rob Newman. · Andy is currently writing for The State We're In (BBC3). · Andy was a resident writer on BBC2's, The Live Floor Show and also performed on the final episode of the current series. · Andy teamed up with fellow comedians John Oliver and Chris Addison to write and record a pilot for a new BBC radio 4 political comedy show. · Andy performed at the Edinburgh Fringe with his show, Andy Zaltzman Unveils the 2002 Catapult of Truth. · Andy was invited to appear in the Best Of The Comedy Network Tour in association with WKD. · After Edinburgh Andy performed on Edinburgh and Beyond FHM Comedy Tour, alongside Lee Mack, Jenny Eclair and John Moloney. · Andy performed his debut solo show at the Edinburgh Fringe, Andy Zaltzman versus the dog of doom. Perrier best newcomer nominee. · Headline act on the nationwide Comedy Network. · Andy reached the Final of the Daily Telegraph Open Mic Award in 2000 at the Edinburgh Festival. · Andy starred in the prestigious Comedy Zone showcase at Edinburgh Festival.